LeBron James is one of the greatest players of all time. 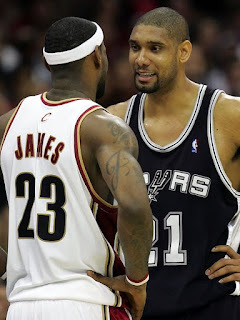 Where you choose to rank him is up to you, but regardless, he is a legend in his own right and one big piece of his legacy is rooted in 8 NBA Finals appearances, with 7 consecutive appearances in the Finals. Today, I wanted to look at each of his appearances and rank them from best to worst. 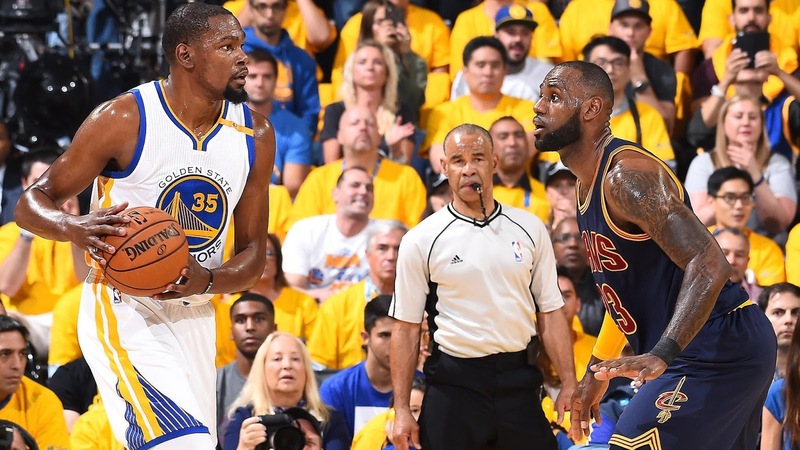 How do the Lebron Finals performances stack up? Let's take a look. -The worst of the Finals performances for LeBron by far. 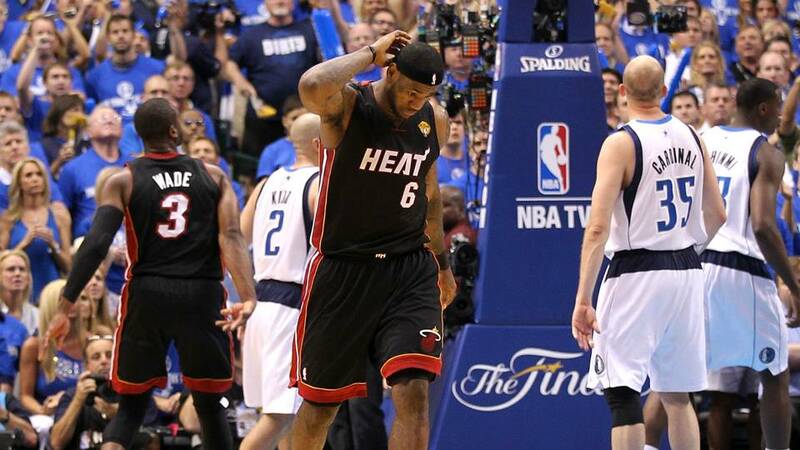 We have never seen a meltdown like this from a superstar player in the Finals. LeBron is a legend without question, but for someone who is supposed to be the greatest of all time apparently, he definitely dropped the ball in a series where Dwyane Wade showed up ready to play. 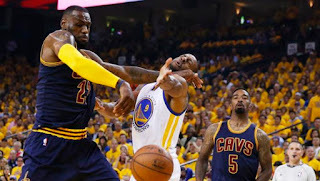 Aside from being outplayed by Jason Terry and not putting forth enough effort, Bron just lacked the aggression we needed to see on the big stage. Many people feel this is the worst star player performance ever in NBA Finals history and in many ways, it just might be. -In all honesty, this is the worst LeBron performance in the Finals, but his fanbase gives him a pass for only being in the league 4 years at the time, which is understandable I guess, but in reality, for a star player, this is a very bad performance. Any other player who would crumble under the pressure in their first Finals honestly would not get a pass, but I guess the goalposts can move when you're the chosen one. 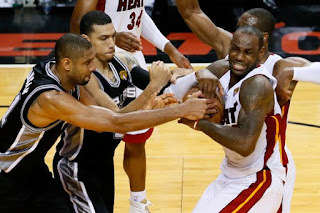 Be that as it may, this is an embarrassing sweep in some ways, because the Cavs had a top 5 defense and held the Spurs to under 90 points in 3 of the games. 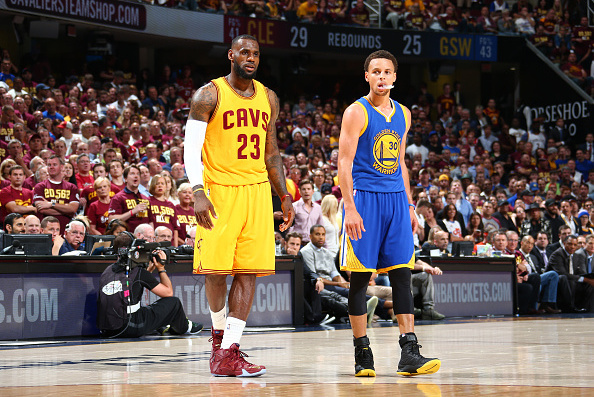 Game 1 was the worst, as Bron finished with 14 points on 4-16 from the field. 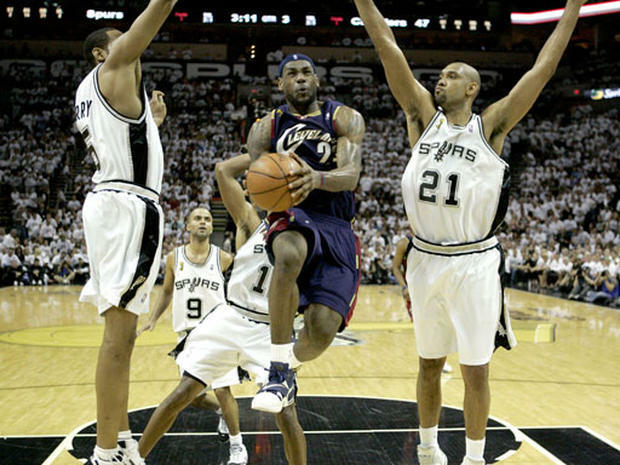 I don't think there needs to be a pass for this, because most fans championed the playoff run of Bron until he ran into the Spurs, who were really good that year, but the Cavs had a fighting shot if they showed up. 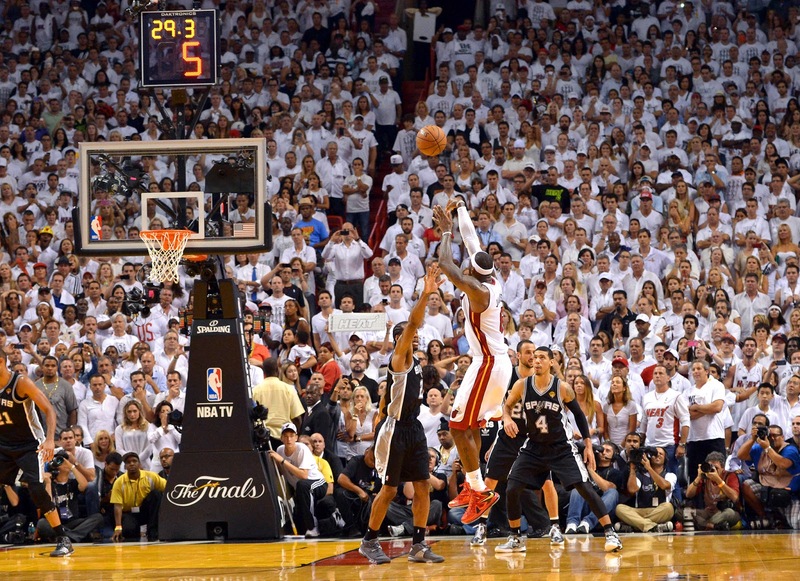 Game 3 was another pivotal moment as Bron missed a game tying three pointer that could have sent the game to OT. All in all, yes, Bron was young, but if we can mention his amazing performance against the Pistons in the same playoff run, then his slight crumble in this Finals has to be discussed as well. 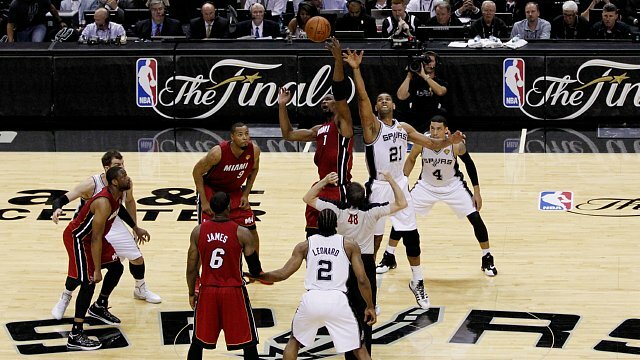 -This was a Finals that perhaps was just a case of the aging Spurs wanting it more. 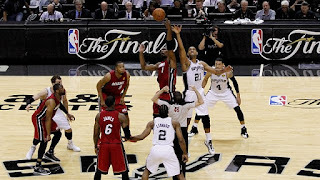 The Heat never seemed to be fully engaged following the battle against the Pacers in the Eastern Conference Finals, so by the time they reached the Finals, they seemed to be easy pickings for the Spurs, who had retribution on their mind. 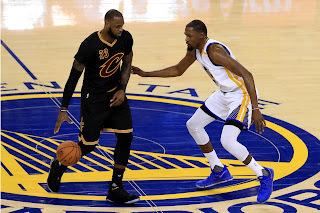 LeBron played well enough in this series, but it seemed like he was slightly disinterested at times, and the rest of the team couldn't keep up. 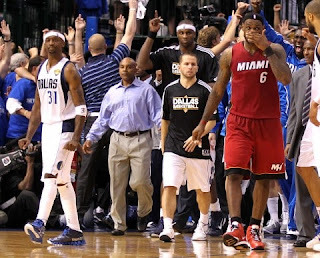 Still, Lebron put up a good performance, it just wasn't enough. 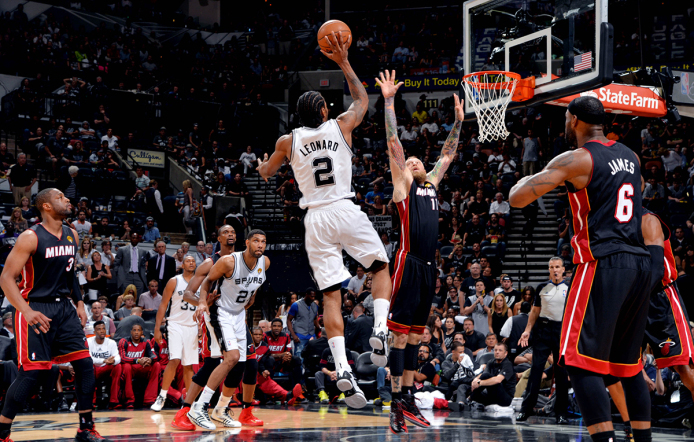 The Spurs won in 5 games by a wide margin in almost every game. -Many people believe that this was the best performance from Bron and it was far from it. Lebron took his team as far as he could, but his efficiency and his playmaking was sort of hit or miss at times. After a surprise win in game 2 and a near choke in game 3, the Cavs took a 2-1 lead into game 4, but the Warriors would win three straight to take the title. Lebron was excellent in spurts, but the offense was centered around him and at times it stalled out heavily, which is why this performance isn't ranked slightly higher. 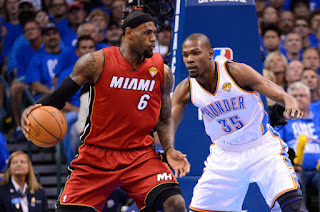 -Averaging a triple double in a winning effort would have easily been the no. 1 choice. However, this comes at the hands of one of the worst Finals losses ever as the Warriors destroyed the Cavs in the first two games and had things locked down in game 5. Lebron was great offensively, but his defense suffered greatly in this series and that's why it is ranked higher. Offensively, Lebron was everywhere and the only reason why they were in a few of those games were because of him and Kyrie (to a slightly lesser extent). 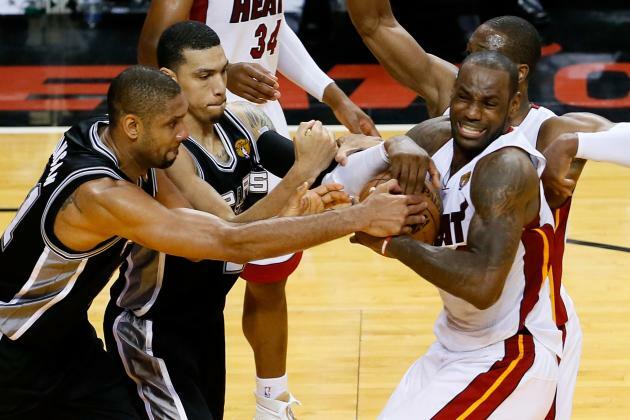 So with that said, this Finals performance is greatest losing effort perhaps? Games 1 and 2 saw Bron focused and as a result, the Cavs looked pretty good at times, but with no ring, you basically averaged a triple double for nothing. -The first title is important. The Heat got to the Finals and sought to make quick work of the OKC Thunder team that was young and not experienced on the big stage. 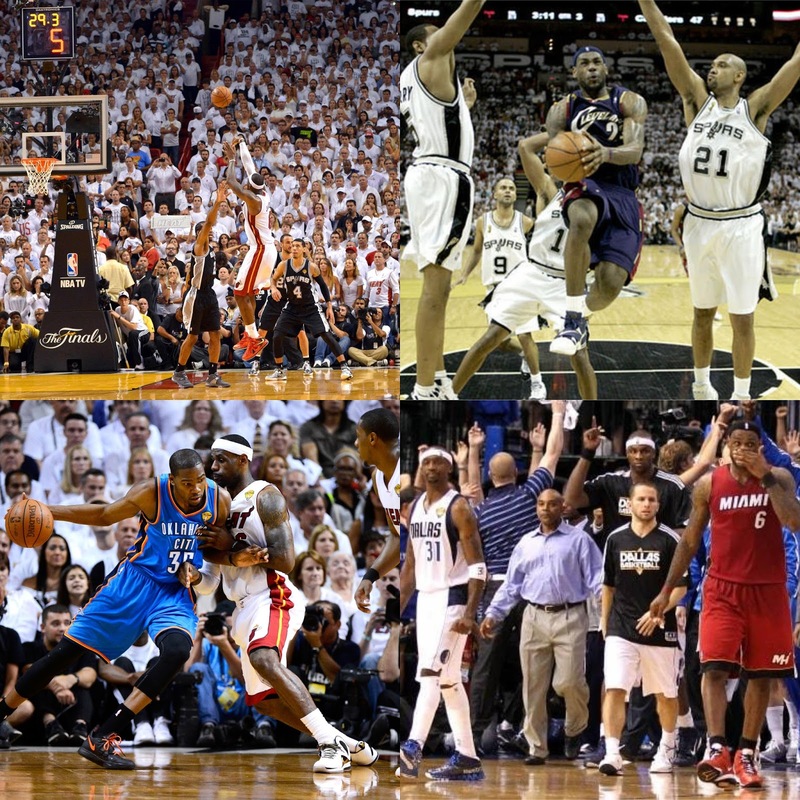 For the Heat, they had something to play for. Lebron had something to play for. With that, we had the perfect storm and it all came to a head in this series. 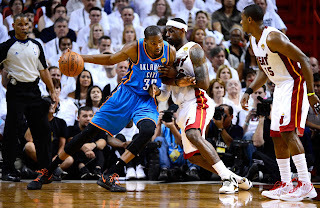 Durant played well, but it wasn't enough. Lebron averaged a double double here, with 29 points and 10 rebounds, as the Heat made quick work of OKC, but all in tough games to win. Lebron would walk away with his first title and Finals MVP, putting the basketball world on notice for sure. 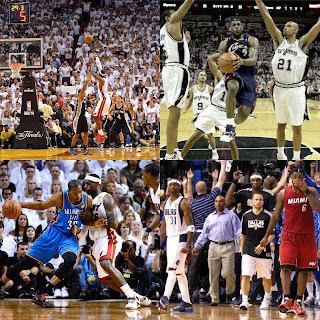 -This is one of the greatest Finals ever. But I'm being honest. The Bron Miami run is not as exciting or amazing as what he's doing in these current years. 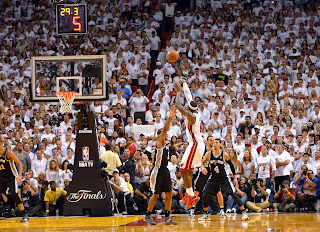 However, this was one of the series where Bron reminded you what you came to see. 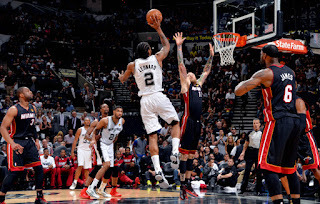 After going down 3-2 in the Finals, it looked as if the Spurs had their number and they probably would have won if Coach Pop didn't make a bonehead decision on defense, but the truth is the truth. 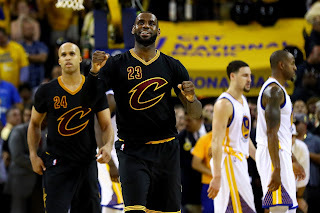 Bron was playing great all around basketball and his game 6 and 7 heroics is what made the series so memorable, as his game 7 work and dagger near the end solidified Bron as a true legend who was willing to go the extra mile to make sure his team wins if he had to. -The final true highlight of his career. 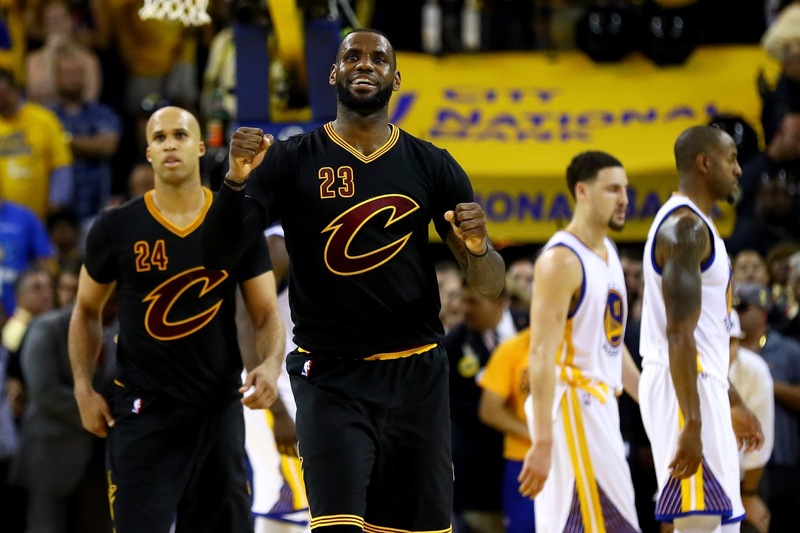 With a chance to right the wrongs of the 2015 Finals, Lebron put on three of the best games in the Finals after a slow start. He was not consistent in the first 4 games, despite a very good game 3, and when the Cavs found themselves down 3-1 in the Finals, they were written off by many and rightfully so. 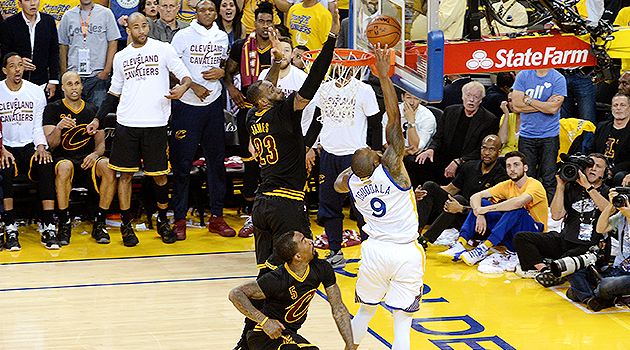 After some choice injuries to Golden State helped assist the way, Lebron and Kyrie both went off, putting up big games as the series closed including the infamous game 7 where the block and the shot heard around the world came. Kyrie deserves a lot of credit, but Bron played out of his mind and a result, this helped him further the claim of best player today.